Building a smart home has become a recent obsession of mine. Anything other than builder's grade deadbolts is better. There are a ton of smart locks out there, from replacements, to upgrades that convert your existing lock to a smart one. 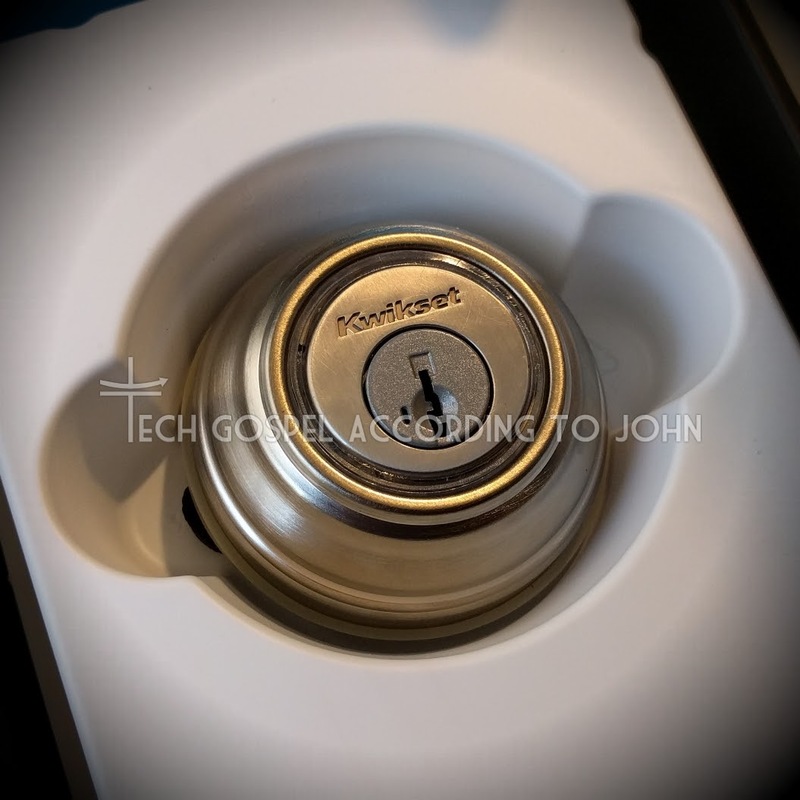 My list boiled down to two, the Schlage Connect, and the 2nd Generation Kevo. Although the Schlage has gotten better security reviews (Grade 1) vs the Kevo (Grade 2) what ultimately got me was the convenience of the Touch-To-Open feature of Kwikset's offering. First up, installation. The Kevo is a breeze to install. Even for someone with my limited handyman experience. My only complaint is that the install instructions are online only. Which made it take longer for me since I had to keep referring to my phone and flipping pages. But realistically, if you've ever installed a regular deadbolt, this is hardly any different other than connecting the front and back with the cable. Next, functionality. It's pretty awesome. Initially had issues but the most recent update seems to have addressed most of them. As long as you have your phone in your pocket (front works better than back, and women's bags are more reliable than men's pant pockets) just touch the side of the Kevo with any part of your body and it opens! Why is this such a big deal? 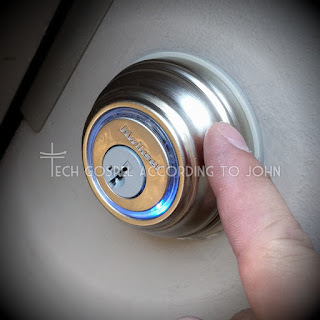 Over the keypad of the Schlage Connect, it is a lot faster to get in your home. People with physical disabilities will have an easier time. Specially with the key fob, which is an optional purchase [BOO!] is more reliable than the phone. Another scenario is when you have your hands full (of groceries for example) and being able to unlock your door with your elbow. Wintertime can pose a problem with gloves. Capacitive gloves seem to work ok so those of you with gloves that are Smartphone compatible need not worry. But for those of us that use regular gloves, you can exhale onto the lock while simultaneously tapping it. For whatever reason, this worked for me. Another option which I have used is my nose. Hahahaha. Yes, my nose. But the risk of getting it stuck to the lock when the temp is well below freezing made me discover the exhaling method. But either way worked for me. The most recent app update has also added one of the best features of the Kevo. UNLIMITED eKEYS!!! Originally shipped with only 2 eKeys and the option to purchase more for $2, the high cost of the Kevo made the purchase of virtual keys feel like a rip-off. Thankfully Kwikset changed this. There are 4 different types of eKeys, Owner, Admin, Anytime and Scheduled. 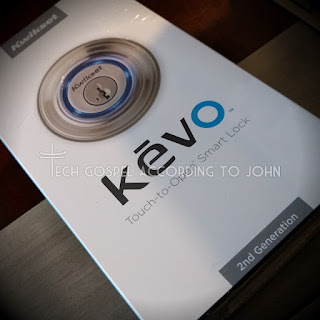 The Owner key goes to the first person who registers the Kevo with their account. I think there can only be one Owner key. Then next option is the Admin key. These function just like the Owner keys and can give out eKeys to anyone as well. The third type is the Anytime key and this allows full access to the lock but doesn't allow the user to give out keys. The last type, the Scheduled key is great to give friends, relatives, guests, service providers, etc. It can be made to never expire but access is restricted to certain times only, or access anytime but has an expiration date, or limited access for both time and date. Very handy for rental places as well. No need to re-key. Which is another feature too but not as ground-breaking. The Kevo features Kwikset's SmartKey tech which allows end users to rekey their locks without a locksmith. For you Nest users out there, Nest hasn't really been accurate doing the whole Auto-Away thing lately. Kevo works with Nest. Link your account and once you lock your door, a notification will pop-up asking if you;d like to set your Nest to Away mode. Not perfect but handy. The Kevo also works with the Ring doorbell if you purchase the Kevo Plus hub. Android Wear users are in for a nice bonus as well, you can pair your watch with your Kevo app. Your watch is specifically paired to your phone, NOT the Kevo lock itself. How this works is that the Bluetooth authentication is duplicated on your watch, and has an expiry date if your phone loses contact with your watch for a couple of days. This is automatically renewed for as long as your watch connects to your phone frequently. It works as a precaution in case you lose your watch, in that the eKey stored in it automatically expires. Came in handy a few times when I had to run in the house to grab something and forgot my phone in the car. The cons? It is expensive. Considering a Grade 1 traditional deadbolt can be had for $40 or so, $200+ for a deadbolt may not be the first on your smarthome shopping list. It's only a Grade 2 lock. Not too bad, but for that price would've been nice to have a Grade 1 rating. The remote unlocking is not possible without the additional purchase of the Kevo Plus hub which is another $100. Boo! Considering that the hub only works with the Kevo and can only do ONE thing, I think $100 is too much. It should've been part of the Kevo 2nd gen package or at most $40. I'm hoping the 2nd gen Wink hub will work with Kevo but that might not be the case if Kwikset is pushing for the $100 single-purpose hub. It can be temperamental. It's benefits far outweigh the glitches, but there are times when it takes a while to detect your phone. Holding your phone CLOSER will NOT work. The proximity sensor of the Kevo uses signal 'weakness' to detect whether the phone is outside or inside. Holding your phone closer will fool the lock into thinking the phone is inside and not allow entry. This happens maybe once every 2 weeks or so, and highly dependent on what I'm wearing. Winter coats will interfere with the signal enough that you may have to try a few times to unlock your door. But despite all the shortcomings of this relatively new product, the Kevo is pretty handy. I've gotten confident enough that I no longer brings the physical key anymore. In fact, I haven't used a house key in the last 4 months! Now, if only Kwikset would lower the price of the Kevo Plus... HINT HINT!